Peter Thomas Roth’s skincare products have a strong reputation for their pioneering formulations and scientifically proven effectiveness. And now you can get a brand new skin for free because with every Peter Thomas Roth skincare purchase, you will receive the travel size FirmX Peeling Gel (worth €10,-) as a gift! Peter Thomas Roth’s high-quality award-winning skincare products have a strong reputation for their pioneering formulations and scientifically proven effectiveness. The Hungarian spa owners’ descendant has a simple brand philosophy: Groundbreaking formulas; Stunning results. 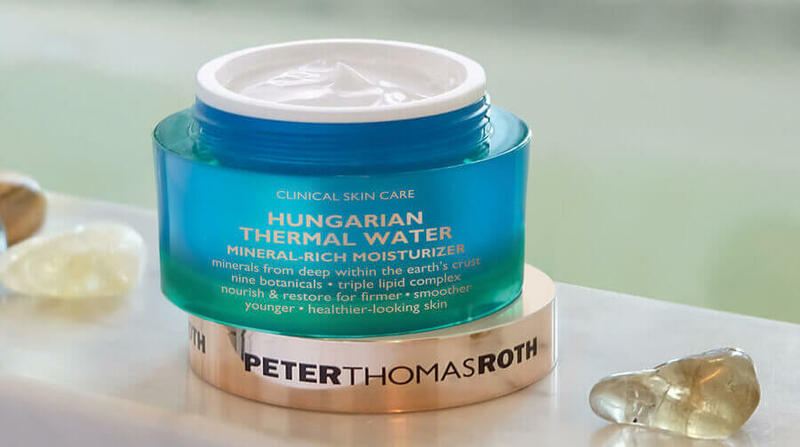 And so, Peter combines old Hungarian customs with advanced technology from the 21st century to create effective skincare that does what it promises.